I have always thought that it was a great investment putting in post and rail fencing around the farm, but that’s before the experiences of this last week. 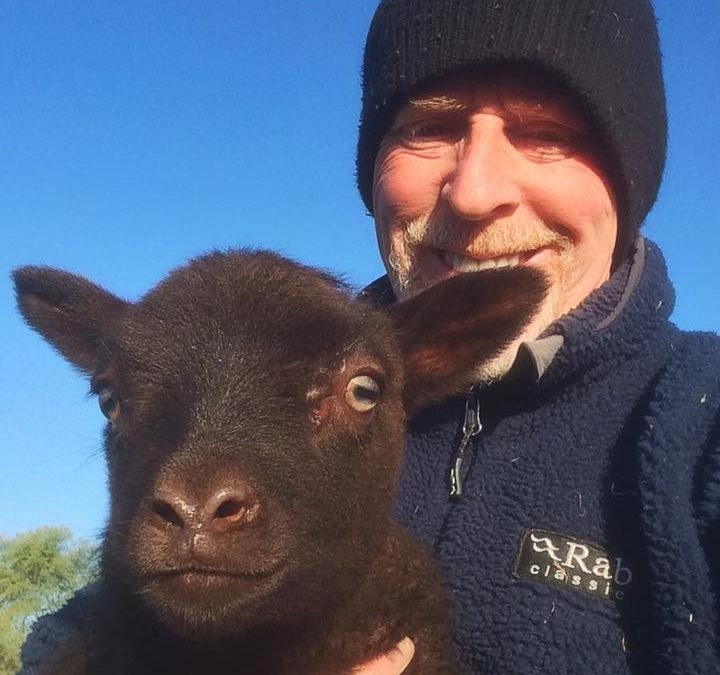 Now I know that we had issues with lambs going walkabout in previous years, but my goodness, these little monsters are only a couple of weeks old and are already giving me the run around. I swear it must be in their genes, as two years ago, the main culprits were Daisy and Daffodil and surprise, surprise, this time around it’s their lambs who are not behaving themselves. Because the lambs are so small, they can easily go under or over the bottom two rails in the fencing, but when they get to the other side and see the grass isn’t all that greener, they lose all memory of how to return to mum through the fence. The result is that they open their little mouths and bleat like a good ‘un. Oh, how they moan and more often than not it has been happening just after it’s got dark. Now I’m the sort of fella who can’t stand back and just listen to the lambs bleating and often it’s just that they have lost mum in the field, but over this last week, as I say it’s been time after time that they have been stuck on the wrong side of the fence. I will firstly stand and watch for a few minutes to see if they get back through themselves, but when they don’t, that’s when I have to get involved. I realise that if I leave them to themselves, they will get back eventually, but I just can’t stand and do nowt. With Daisy for example on one side of the fence and her renegade little boy nose to nose with her through the fence, I have to go and help them out. That ‘helping them out’, more often than not involves far more running around than I fancy, in the dark. It’s like last night, for 40 minutes I attempted to have that same little boy returned to mum and in the end, after he had covered every blade of grass in the cow field, off I went to get my big fishing net, only to find them all playing happy families once more, on my return. I should learn not to be such a softy, I would have so much more time on my hands to do other things, if I did. She has been working like a dream, ever since she arrived and that’s over three years now. So why when you least expect it, and certainly could do without it, does your ever so reliable Land Rover decide to play silly devils and cause you grief? I was just returning from picking up a few bales of hay and she started to cough and splutter a little and then as we came down the lane she slowed down to almost a standstill. I cursed a little, but thankfully made it through the gate and into the yard. I called Steph at JAS, my local Land Rover dealer across the fields from me and thankfully, they said they would plug her in and have a look at her. I crawled my way around there, but how was I going to get home again? Yes, I could walk, but that was never going to be as much fun as riding our 1970s fold up shopper bike, cross country now was it? You will be pleased to know that I made it home safe and sound and I am now awaiting some good news on the old girl, hopefully very soon.